Hello everyone, and welcome to the new look Round Up. We wanted to take the opportunity to thank everybody for their fantastic efforts during 2018. This has been such a significant year for the Group and could have only been achieved through the continued teamwork from each and every one of you. Happy Christmas to you all and here’s to an even better 2019! 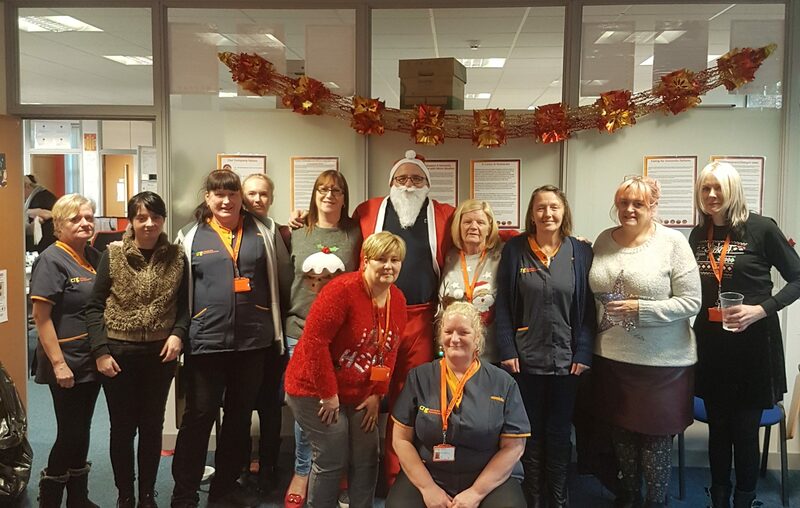 The Homecare teams in Bolton and Salford all enjoyed their Christmas parties recently, we hope you had an amazing time! Percy the Elf has arrived in Leicester. Take a look at what he’s been up to. 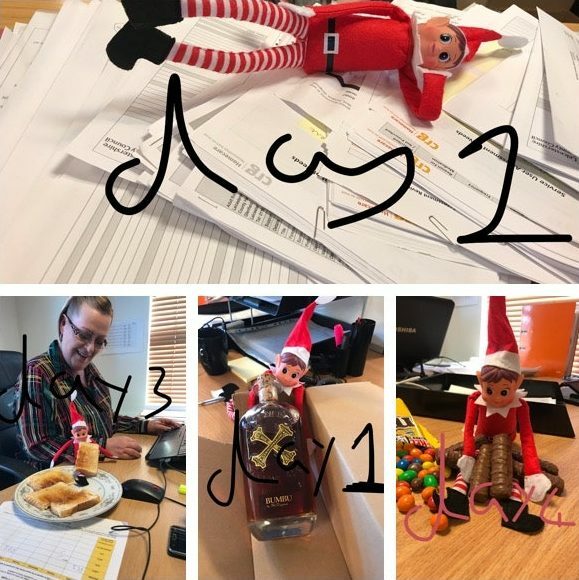 Clacton’s Elf has been a busy little Elf!!! 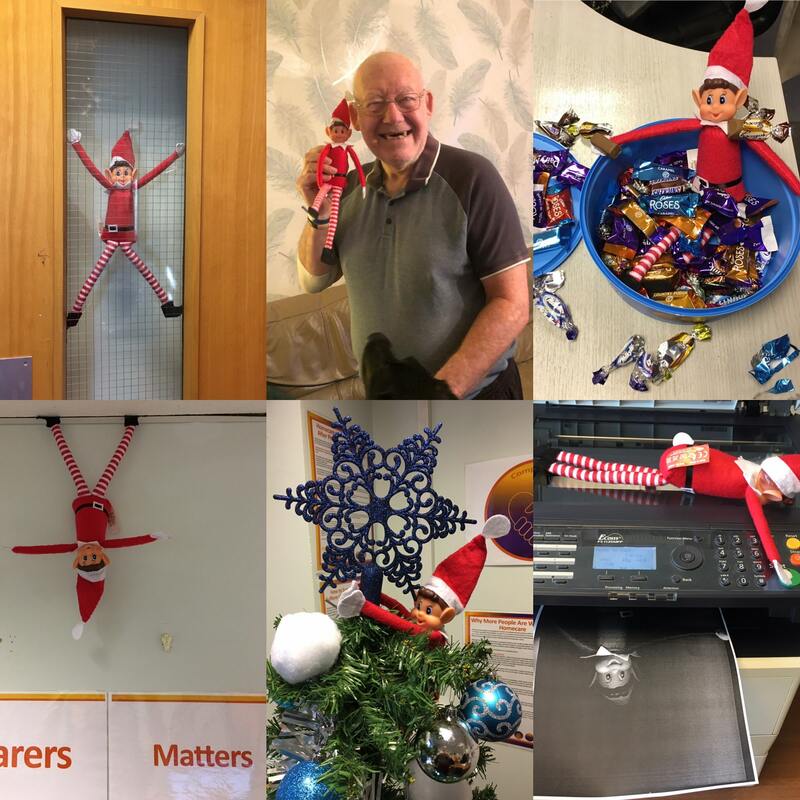 He has been out with the carers on their rounds, helped out with some photo copying and got caught eating chocolates!!! 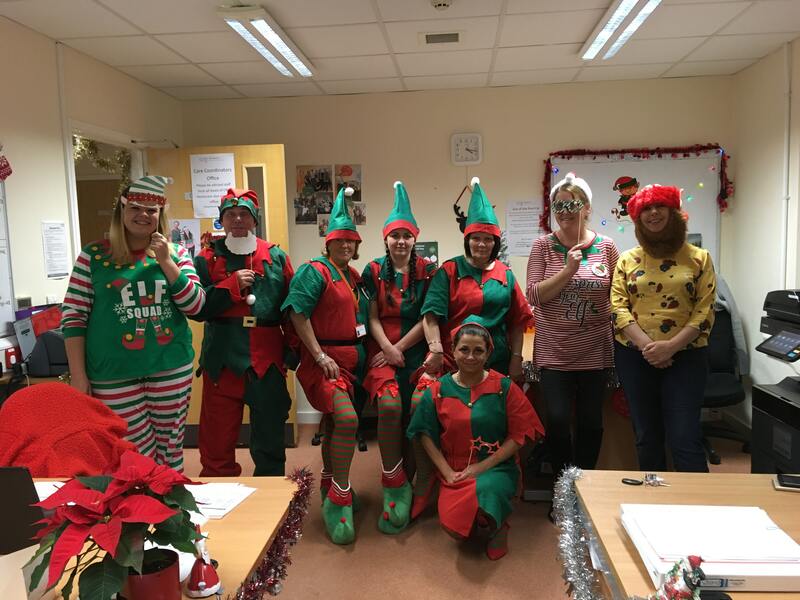 The team in Leicester get into the Christmas spirit dressing up as elves for Elf day. 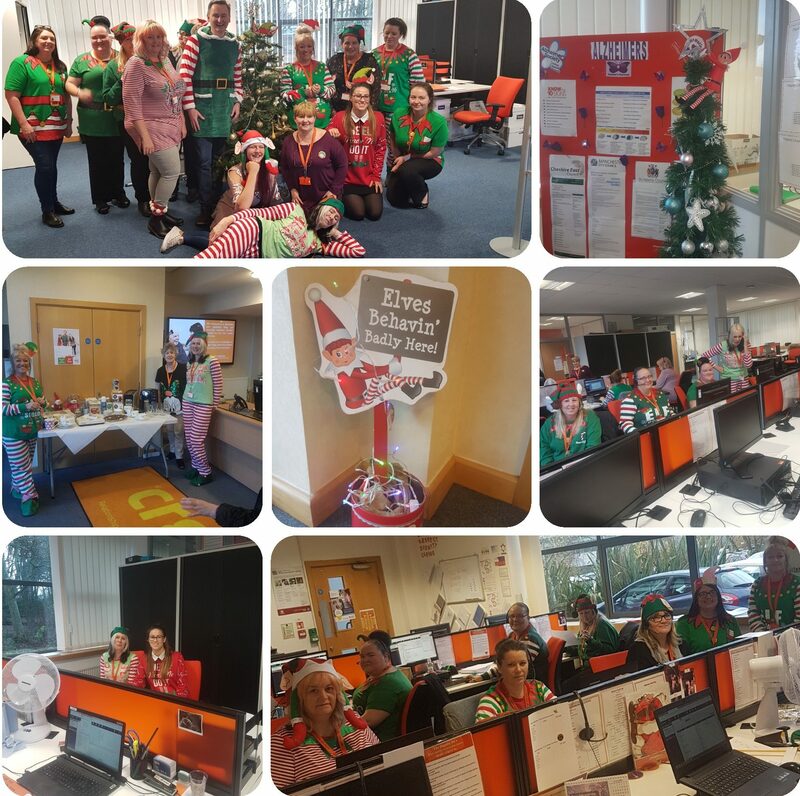 Our Prescot branch made a fabulous effort dressing up as elves for Elf day. They even got John Preston to dress up!! Great effort everyone. 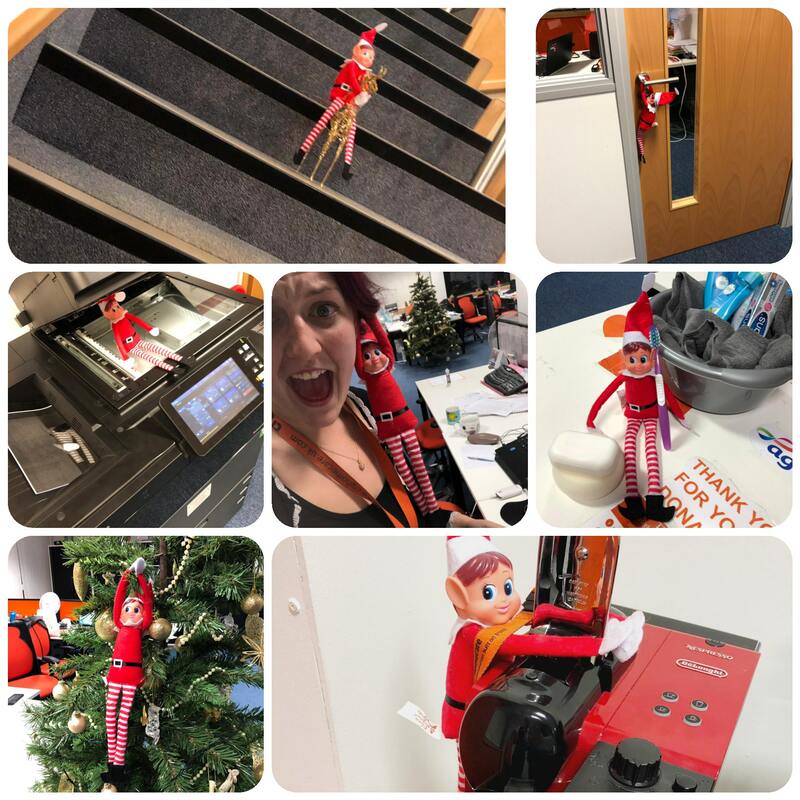 Northy the naughty Prescot Elf has been up to mischief in the office! Well done to our Boston branch for raising £50.90 for Alzheimer’s Society! The Southend team recently held a Christmas dinner for service users. Thank you to Lisa Chittock for booking and arranging everything! 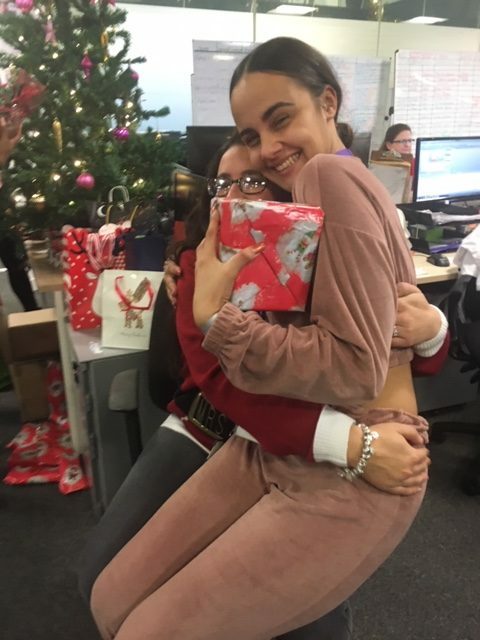 Everyone seemed to have a really good time and enjoyed themselves, not long now and it will be Christmas! Keep smiling and help others that can’t help themselves. 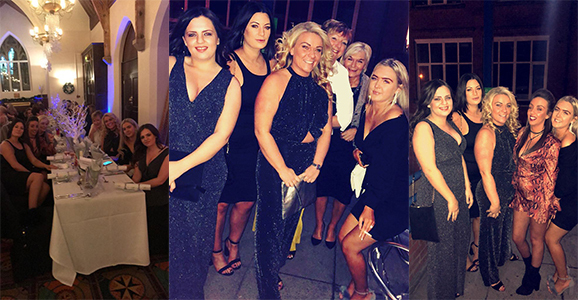 The Prescot Homecare team had a ball at their recent Christmas Party for care workers! 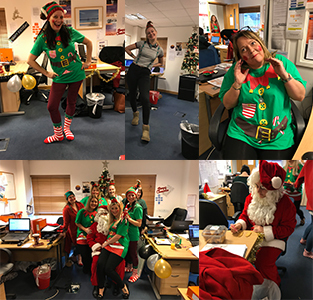 Thank you to Finance Manager, Damian Boland for dressing up as Santa! 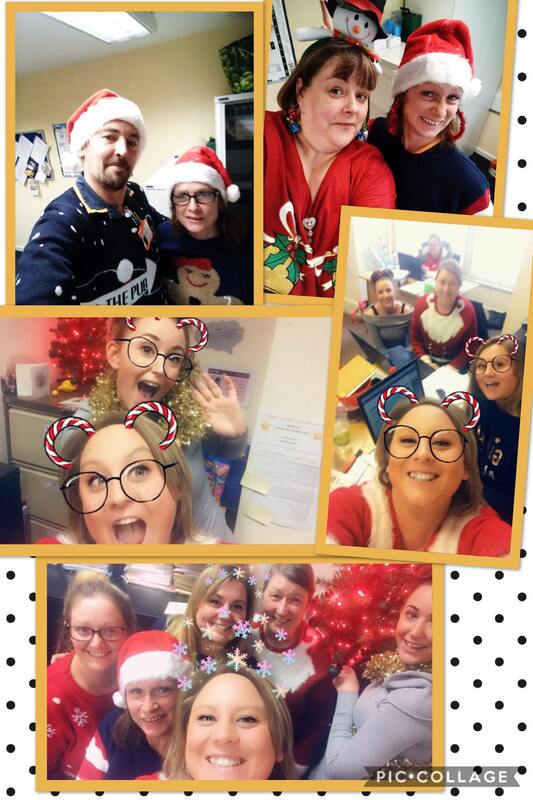 The team in Sleaford would like to wish everyone a Merry Christmas! 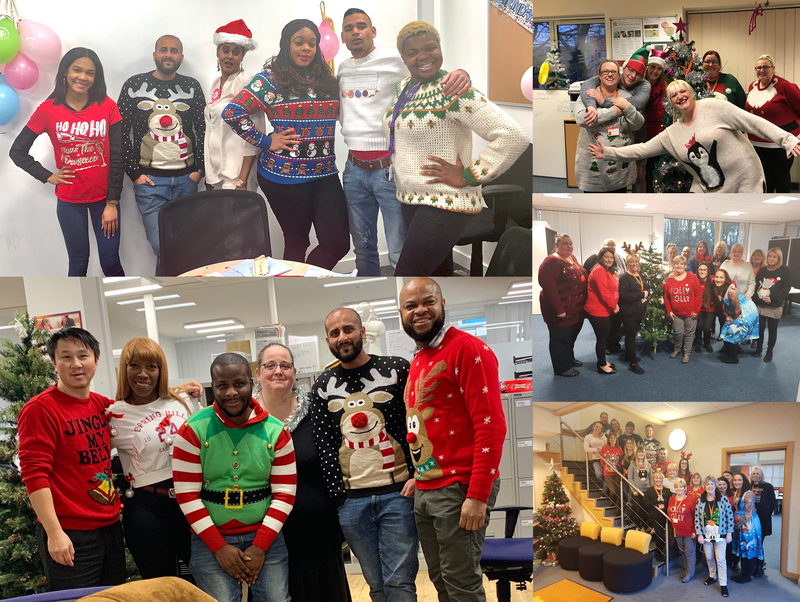 Everyone across CRG wore their finest Christmas jumpers to raise money for Save The Children on Christmas Jumper Day!! Congratulations to Nicola Taylor who received Branch Staff of The Month for Thurrock branch. Nicola has been committed from day one of Thurrock’s new contract going live and is a fantastic carer. Congrats Nicola (pictured below). 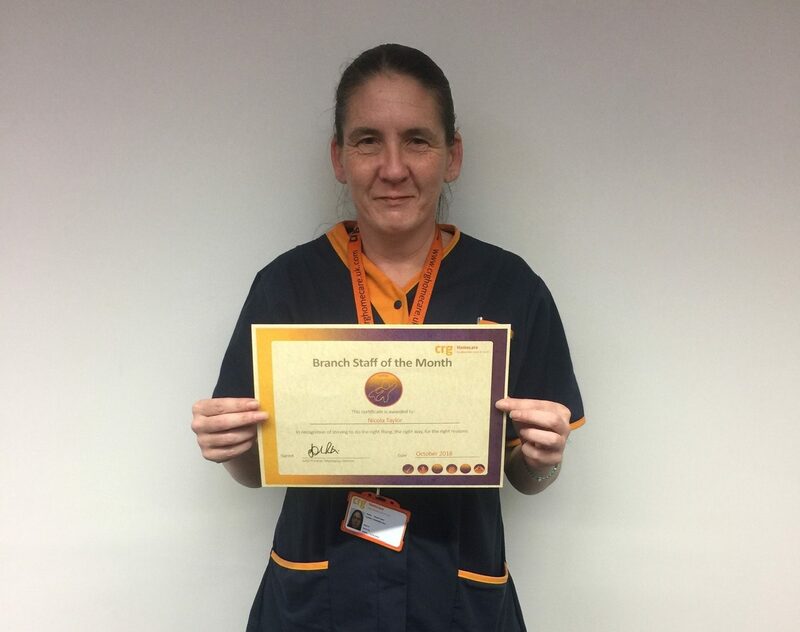 October Carer of the month in Southport goes to Monika, she is a fantastic carer and is a deserving winner (pictured below). 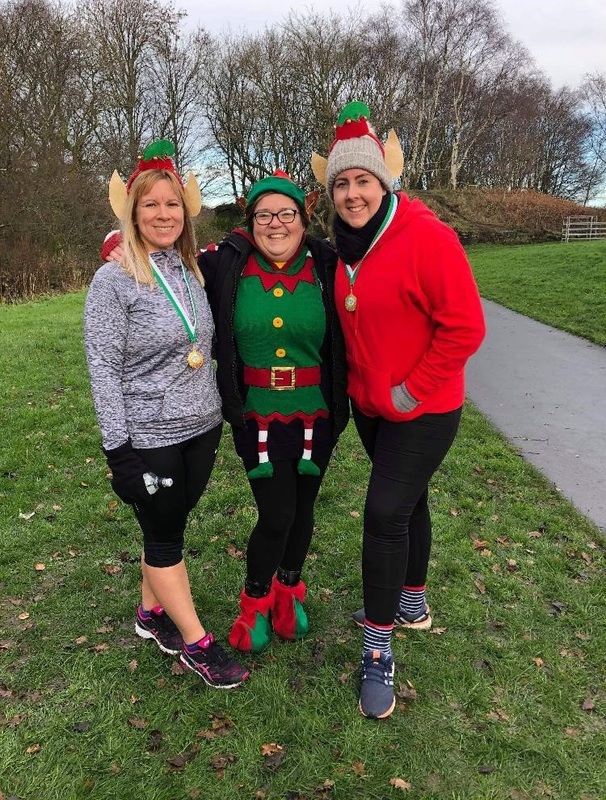 Well done to Cheryl Douglas, QA & Training Lead (pictured below), who braved the freezing cold weather on Sunday morning to complete an elf-themed charity run to raise money for the mental health charity, MIND. If you would like to donate to Mind, you can do so by contacting info@mindhalton.org.uk. Positive Recruitment Matters Workshops have taken place in Burnley, Castle Donington and London during the past week. 45 representatives from every Homecare branch have attended! This week’s employee in the spotlight is, Care Coordinator, Charlotte Donoghue, pictured below. I have worked for CRG for a year and a half. I have visited a lot of different places, however I would say my top place is definitely America! Twenteen! It is giving me the best of both worlds! I would love to meet Mother Theresa. I find it very touching what she accomplished at such a terrible time. I, on behalf of CRG Defence would like to wish the entire group and their families a very Merry Christmas and a prosperous 2019. Additionally, I would like to take the opportunity to thank the Defence Division for all of their efforts, hard work, perseverance and commitment throughout this year. May you all enjoy a peaceful Christmas and here’s to a very happy, healthy and successful 2019 – for all of us. I wanted to take a moment as we approach the end of 2018 to reflect on an incredibly busy and successful year. We have delivered excellent levels of service to all our customers across each contract and continue to build and reinforce ever stronger relations in this regard as well. We have also had some outstanding successes with regards to business growth this year, retaining our contract with Dyfed Powys, being extended to continue delivering services to Derbyshire and Merseyside and winning new contracts for Essex, Lincolnshire and, from April, Hertfordshire, Bedfordshire, Cambridgeshire, Norfolk and Suffolk. We have also just won our first prison contract for HMP Chelmsford as well. Many of you will also be aware that we have now also acquired Jigsaw Medical which is a very highly regarded private ambulance service provider to the NHS. The alignment of Jigsaw to CRG Medical significantly further enhances not only our senior leadership but reinforces our Clinical expertise at all levels! Thank you all for all the hard work you do every day in supporting our customers across the U.K. Without your daily efforts and overall commitment, we would not be as successful as we have now become. Have an enjoyable festive season and thanks especially to those of you who will be working supporting our customers during this time. “Rachel Quinn gave a brief presentation on the role of the CG Team and was really helpful in explaining the use of the Radar system and the mandatory training requirements for staff. Rachel was also able to explain the process for statements and Laura McMahon gave an overview of compliance and the importance of sharing relevant information with the CG Team. They were very good in assisting staff who had not accessed their accounts and made sure that these new staff were activated before the end of the course. 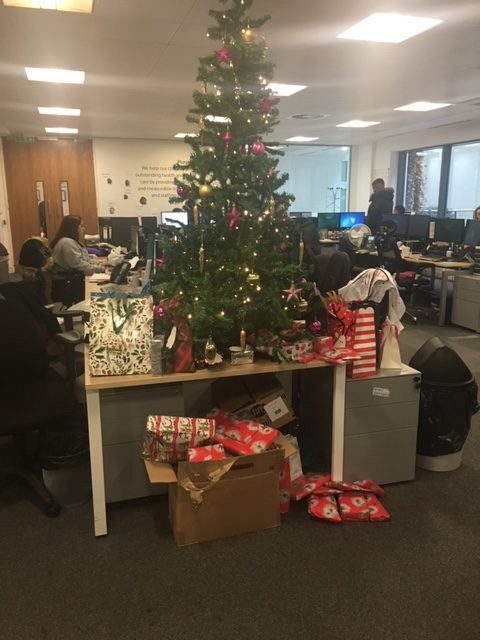 A huge thank you to Rachel and Laura for the support that they continue to offer to CRG Medical Services, its great to see the hard work that they do in the background in support of our contracts being acknowledged by the wider team. CRG Medical Services recently received a fantastic compliment from a Inspector for the professional work of one of the Merseyside FME Staff, Steavi D’Arienzo. “Steavi D’Arienzo cared for an immigration detainee that was suffering chest pains and, high blood pressure. A Police Sergeant assisted in the medical room and due to the condition and potential of a heart attack, the defibrillator was on hand. Steavi calmly requested the station to be closed due to a potential adverse incident, which showed excellent crisis management and consideration of potential scenes. The Police Sergeant commended Steavi on her ability to control the situation in a calm and professional manner. It is sometimes easy to forget that urgent & emergency interventions are carried out by members of our team on a regular basis. The fact of the matter is that lives are saved by the efforts of our staff. We are extremely proud to share these accounts and promote the professional service delivered 24/7. Well done Steavi, you are an absolute asset to the Merseyside team and also to CRG Medical Services. 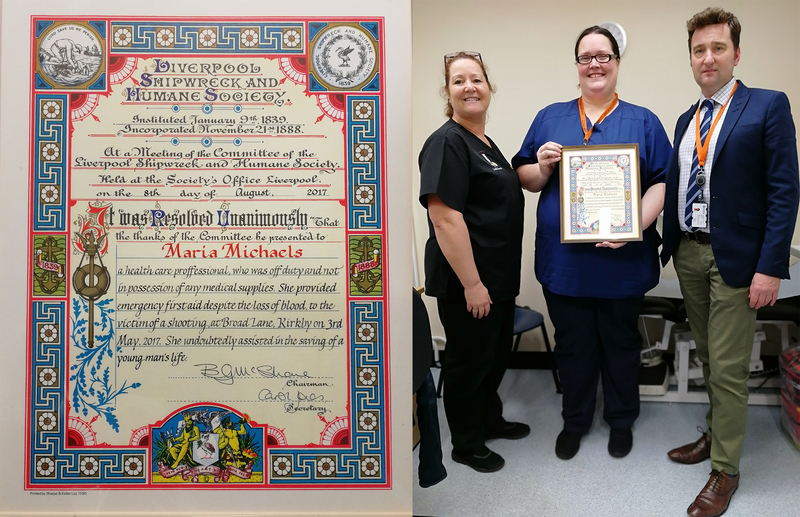 Maria Michaels, a Custody HCP, was nominated for an award from the Liverpool Shipwreck Humane Society by colleagues from Merseyside Police for her life saving actions last year. Maria was off duty and went to the aid of a young male who was victim of a shooting. She provided immediate, lifesaving interventions whilst waiting for the arrival of police, paramedics and an air ambulance. 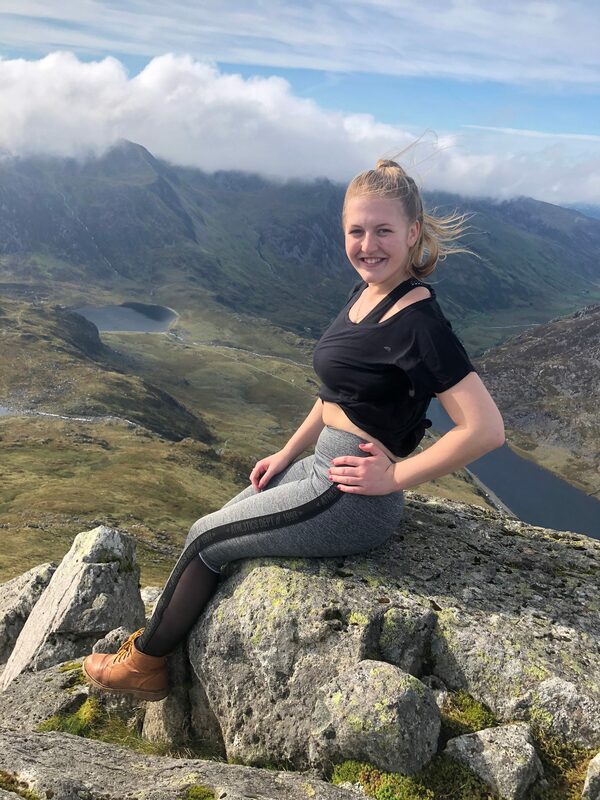 Without consideration for her own safety, Maria stayed with the casualty and administered first aid despite not knowing if the attacker was still in the vicinity; displaying both bravery and professional calmness throughout. Her actions undoubtable saved the young person’s life, actions that she was also to receive a commendation from Merseyside Police for. Well done Maria, this is an extremely well deserved award and you should be rightfully proud of your actions. 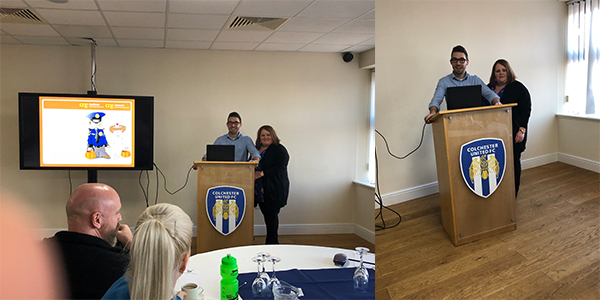 An ‘away day’ was organised by the three main players involved in providing physical and mental health services for the Essex integrated health and justice contract to which CRG Medical Services provide FME, ECP and HCP support in police custody suites. This has been a demanding contract since inception due to a number of difficulties such as delays in police vetting leading to staff shortages and delays with technical services which has in turn led to relationship difficulties in the past. The purpose of the day was mainly teambuilding and was very much focused on the future and how, by working together, we can be greater than the sum of our individual parts. The morning was made up of a series of presentations based on “a day in the life of” and started off with the role of Street Triage which led on to the police custody officer receiving the detained person. Then came the CRG offering which was expertly presented by Adam Pooley (ECP) and Denise Boothman (HCP).